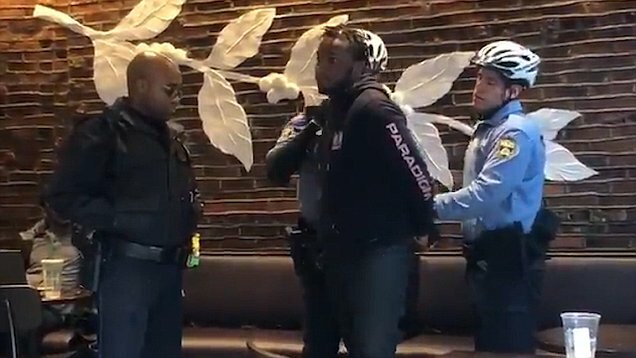 Last week, two Black men were wrongfully arrested inside a Philadelphia Starbucks after a store manager called the police while the men were waiting for their friend like most Starbucks customers do. 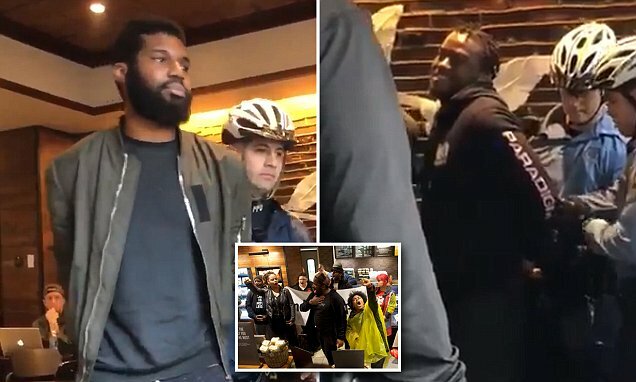 After several days of protests and backlash, the Starbucks has announced the offending manager is no longer with the company, but he wasn’t fired. “What did they do,” one man can be heard saying the viral video captured by Melissa DePino. “They didn’t do anything, I saw the entire thing,” another person said. Just as the friend of the two men arrived, the men were put in handcuffs and arrested by police. Alan Yaffe, a white man, enters the frame and questions why the police are standing over the men. One officer says they are “trespassing,” and adds they had been asked to leave. “Why would they be asked to leave?” Yaffe asks, adding that the men were waiting for him. “I wanted to get coffee for two black guys sitting and meeting with me,” he tells the officer. “Does anybody else think this is ridiculous?” he asks other patrons in the shop. A woman agrees. “It’s absolute discrimination,”Yaffe adds. He says he and the men can go elsewhere to meet. An officer says it’s too late for that, because the two sitting men had previously declined to leave. The video ends as the officers arrest the men and leading them out of the coffee shop. Starbucks issued a statement apologizing for ‘the incident’ and Starbucks CEO expressed he wants to apologize to the men in person. According to Philly.com, the manager in question has left the company in what a company spokeswoman called a “mutual” decision. He should’ve been fired immediately. Starbucks really mishandled this entire situation.